Courtesy of Affordable Housing Management Inc.
Construction is underway for Hope Court, a 16-unit complex in Greensboro. Construction has started on a 16-unit apartment community, and rehabilitation efforts are underway at another complex — with both projects geared toward providing Greensboro residents with quality affordable housing. Hope Court, a 16-unit complex, is underway at 3701 Hope Court, located near the intersection of Gate City Boulevard and Holden Road, according to a news release issued by Affordable Housing Management Inc. It will offer one-, two- and three-bedroom nonsmoking apartments affordable to individuals and families earning below 50 percent of the area's median income. The total development cost is expected to be about $2.1 million. David Levy, AHM executive director, says the homes will be attractive and Energy Star certified, which will provide reduced electric rates for the residents. "The reduced electric rates and below-market rents will provide extremely affordable homes with public transportation, shopping, services, restaurants and employment centers, all within walking distance," he said. "The 16 new apartment homes will assist with the city's efforts to end homelessness and to increase the affordable rental housing stock." Six units are expected to be reserved for households with a disabled or formerly homeless member, according to the release. In addition, supportive services — including classes in nutrition and budgeting, along with how to take care of the apartment unit — will be offered to residents by the United Way of Greater Greensboro and the Greensboro Housing Coalition. 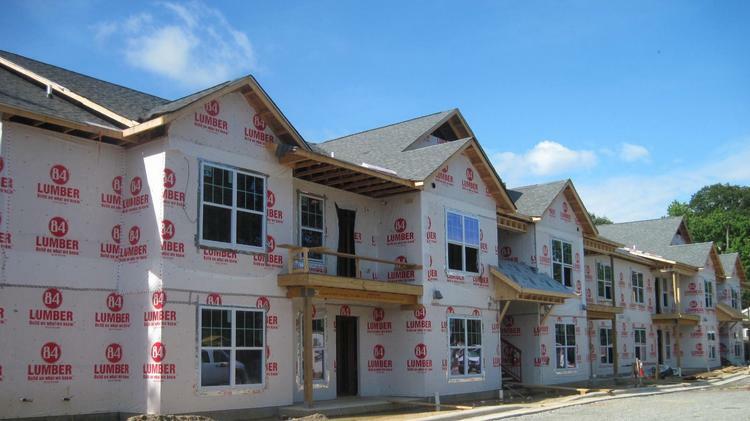 "Building more affordable housing is crucial to Greensboro's long-term growth and community health," said Brett Byerly, GHC executive director. "Developments such as Hope Court that emphasize energy efficiency, proximity to food and infrastructure, and connection to supportive services for residents are crucial to both resident and community sustainability." The project is funded by the city of Greensboro, the North Carolina Housing Finance Agency Supportive Housing Development Program and AHM, according to the release. Grants also were provided by Federal Home Loan Bank of Pittsburgh, the Wells Fargo Foundation, Community Foundation of Greater Greensboro and the Lookout Foundation. AHM also is working on a rehabilitation project at one of its existing apartment communities. That 44-unit one- and two-bedroom community, Berryman Square, is located in northeast Greensboro and will feature several upgrades, including energy-efficient appliances, HVAC equipment, new lighting, new floor plans, new kitchens and bathrooms, new exterior siding and doors, according to the release. Some areas of asphalt will be converted to green space, according to the release, and new amenities will include a playground, picnic areas and a new community building that features a management office, laundry room and a general purpose room with a computer lab for residents. The complex will have mixed income limits with rent and utilities affordable to households earning 50 percent and 60 percent of the Area Median Income, the release said. Five units will be targeted to disabled households. AHM is completing the work in phases to minimize resident relocation, and the rehabilitation is expected to be completed early next year. Total cost is expected to total just more than $5 million. It was funded with federal low-income housing tax credits awarded by the NCHFA, a city of Greensboro loan, a state rental production loan and a first mortgage loan from the Community Investment Corp. of the Carolinas. Both projects are expected to be certified under the National Association of Home Builders' National Green Building Standards.